Have you been kicked (penalized) by the Panda again? 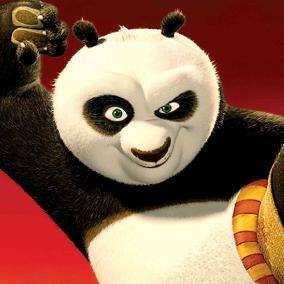 Well, as we wait for all of the dust to settle after Google’s new Panda algorithm update, the SEO world has had some observations surrounding the timeframe of the update. This version of Panda is not just an algorithm refresh, but different enough to actually get it the designation of “4.0”. Matt Cutts announced on May 20th over Twitter that Google was rolling out the new update, although possible effects could be seen the day before that. The Panda update is a filter that was originally introduced in early 2011. The goal of this filter was essentially to keep poor content sites from making it onto page 1 of Google’s results. It targets top 10 results that are still gaming the system in one way or another. The idea is to make sure that top results are being achieved by sites with quality content. Sites that don’t have quality content should be penalized under this algorithm. The Panda 4.0 update will affect approximately 7.5% of all English queries searched on Google. Barry Schwartz, founder of SERoundtable.com and news editor at SearchEngineLand.com did an analysis of how Panda 4.0 has affected press release sites. His results show that the major wire services have lost significant visibility and traffic as a result of this update. “This drop seems to have come right after the Google 4.0 update. The controversy around press release sites were mostly about links flowing from those releases, not necessarily the issue with the duplicative nature of that content. But let’s be honest, many many press releases issued are content thin and spammy on the content end, not just on the link end. So maybe, just maybe, Panda 4.0 adjusted for it and the big sites felt it?” writes Schwartz. This would seem to be a sign that Google isn’t endorsing the idea of the press release website any longer. Now, there are still some benefits of these PR sites. When someone does a press release, and posts it to a site like this, you still might get your website in front of the eyes of bloggers, reporters, etc., where what they write or link to may have an impact on your rankings. But as far as the links within the releases themselves go, Google has said that they won’t help your rankings. In addition, if these sites are showing up in rankings less and less, it’s becoming a less effective tactic to SEO and traffic strategies. Another huge hit, interestingly enough, was YellowPages.com. Even though YP seem to not be hit as much as some of the others (only about 20%), it shows the types of sites that are being targeted with this kind of an update. Click on the link at the top of this paragraph to see more of those hit and even a list of those with increased visibility in the SERPs. With any article like this, cause and effects of the recent update are speculative. Interpret with caution, of course, but proximity of some of the events in search traffic mentioned above to the Panda 4.0 update seem to be particularly telling. It’s also worth remembering that this is a sample of search terms. The only way to really know if any update has hurt or helped you is to look at your search-driven traffic from Google, rather than particular rankings or lists like this, which have become popular after Google updates. If you’ve seen a significant increase, you’ve probably been rewarded by it. Have big decreases? Then you were probably hit by the update. And as a reminder, it’s important to focus on the huge hit that PR sites took. Google seems to be cracking down on the barrage of PR articles that are going out from these types of sites. This lines up with Google’s values of steering people away from web spam and also redundant content. Because of these factors, this seems to no longer be a good tool in the SEO’s tool kit. So consider checking with your SEO provider (if you have one or are considering one) and see if this is one of the tactics they’re using. If it is, it might be time to see what else they’re doing that is outdated or ineffective. The SEO trends are obvious. SEO tactics start to work, everyone copies it, things become spammy, Google penalizes it or devalues it. Repeat. And that’s why SEO gets a bad rap. Stop it already, okay? High quality content always works though. The search engine’s job is to give searchers the most useful information for a given subject. SEO is still necessary, but let’s appreciate all that Google does to keep people from playing the system. If you need help establishing a regular high-quality content strategy for your website, get in touch with our SEO experts over at UZU Media. So basically it is all about quality control! I’m glad to hear that Google values the quality of content! I agree there is definitely a fine line between SEO and spam! I think there needs to be more use of SEO experts no? I did not realized that Press release sites got hit so hard. Funny though, I still get a lot of these sites recirculating my blog posts. I don’t understand why they do it but I don’t complain because it is free publicity. I have seen the same thing done with my ezine articles. Thank you for the information. When I search the web, I want the answer first time. I want those who search for what I have to be able to find me too. Puts the onus on my shoulders to write to the people who need what I have. Frankly I don’t like to get beaten out by stuff that is not getting my customers what they are looking for. My customers deserve better than that. Google is trying for the same thing.